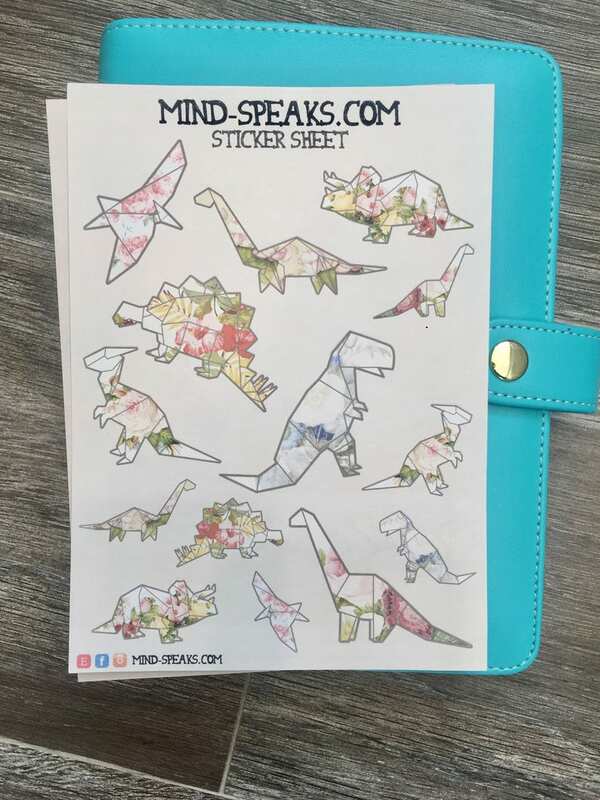 This listing is for 1 sheet (5"x7") with 14 varied size dinosaur stickers! Stickers started with doodles and turned into illustrations and printed out on a soft matte sticker sheet. Perfect for stationery or planners! *This listing is for 1 half sheet that includes a sheet of 14 stickers. **Colors and quality may vary from print to print. Colors may vary depending on what kind of screen you are viewing with. No refunds on stickers but if you have any issues, please email us! I don’t have the e edgy to remove the wallpaper, so I added some dinosaur stickers to the baby’s nursery walls. It’s adorable. These stickers are ADORABLE!! I bought them as a Christmas gift and thought they got lost in the mail because they took a while to arrive, I contacted the seller and she was incredibly helpful. Would definitely repurchase!! So cute! Came with a sweet note and an extra button too! It's amazing for my ita bag im putting together!